Like most digital agencies, we occasionally provide our web consultancy services to small community projects, non-profits & third sector organisations for free. 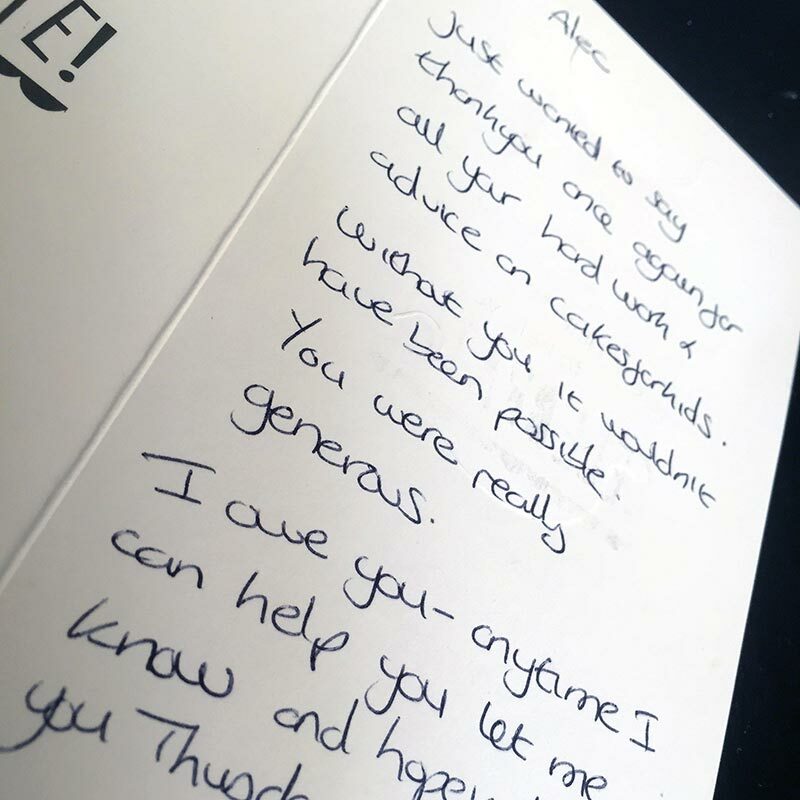 Doing pro bono work is, generally, reward enough in itself but agencies are made-up of people and that’s why it’s especially rewarding to be on the receiving end of a thank-you note, like the one we received recently from Cakes For Kids. It’s little things like this that ensure we’ll continue doing pro bono work in future. We helped Cakes For Kids out of a pickle when their incumbent agency let them down at the last minute. Cakes for Kids was a community project established to raise funds for children’s charities in and around Milton Keynes and they wanted to break a Guiness World Record in the process. They needed a website and we were happy to help out as much as we could. We could only provide the basics, which was a nicely styled WordPress site (allowing them to update it themselves) and some general support but it was enough to get them on their way. They broke the record in November 2014 but Guinness World Records take a little while to authorise so we only found out recently, which was when we received the thank you note. We were proud to be part of it and even more chuffed by the Thank You.